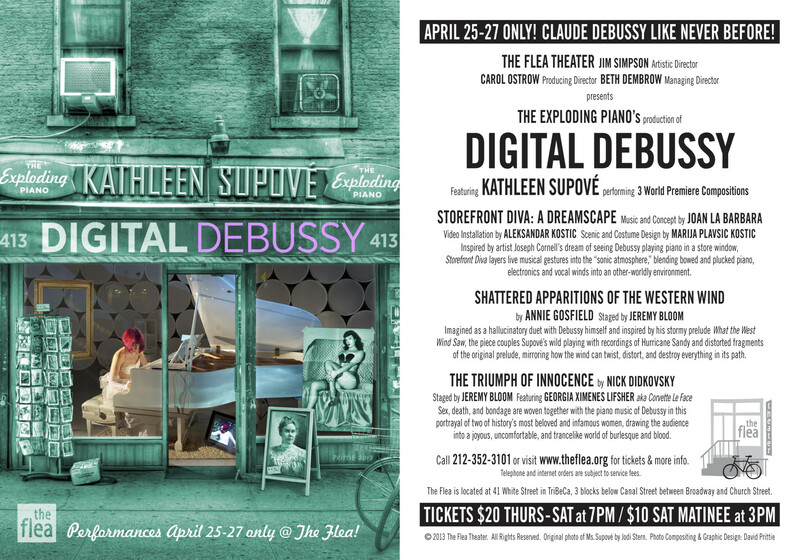 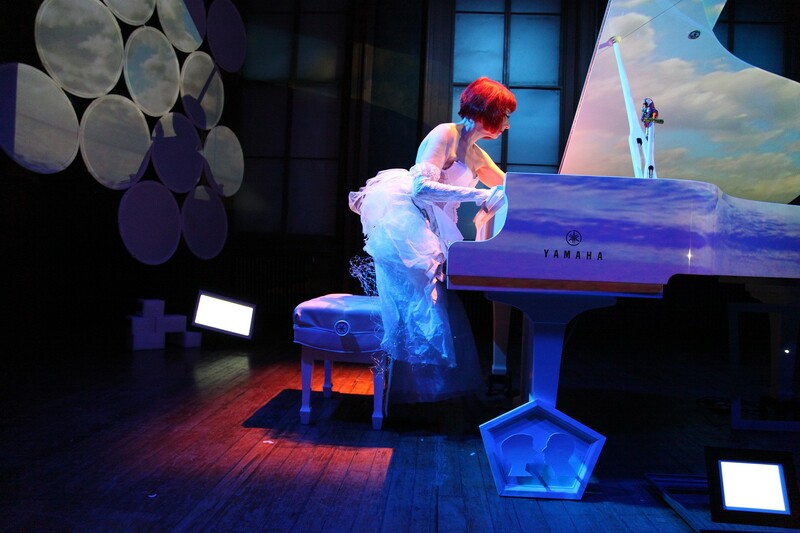 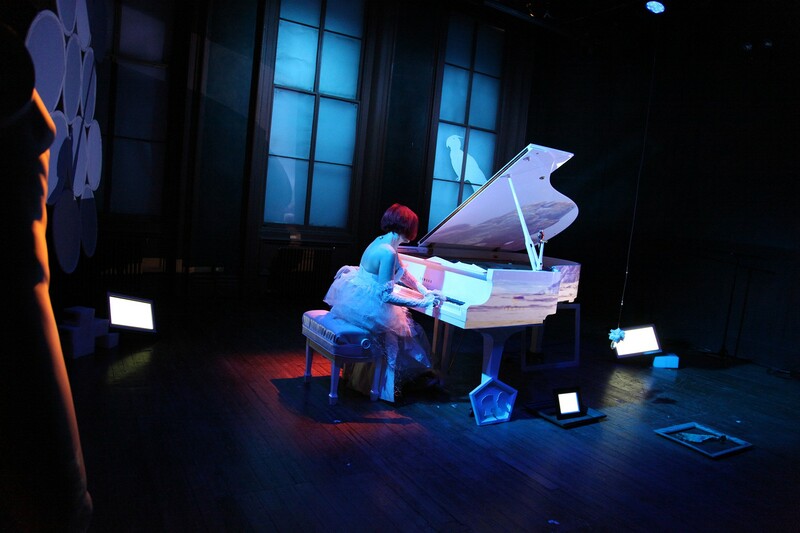 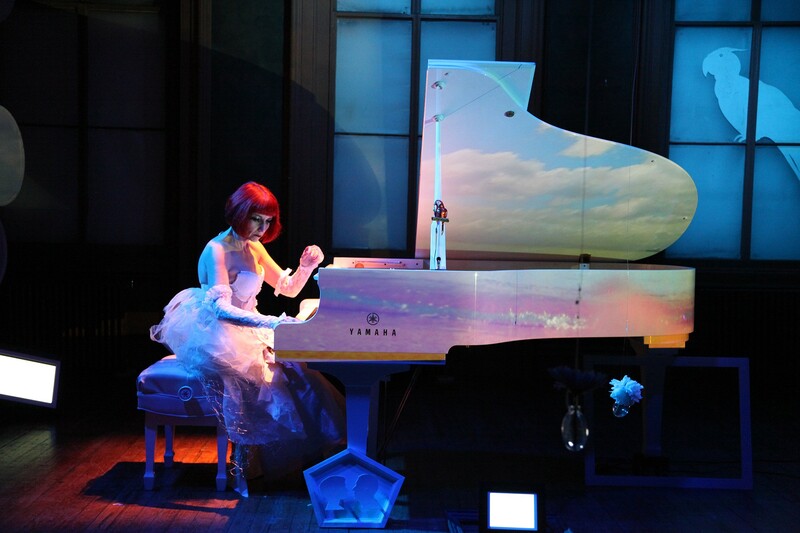 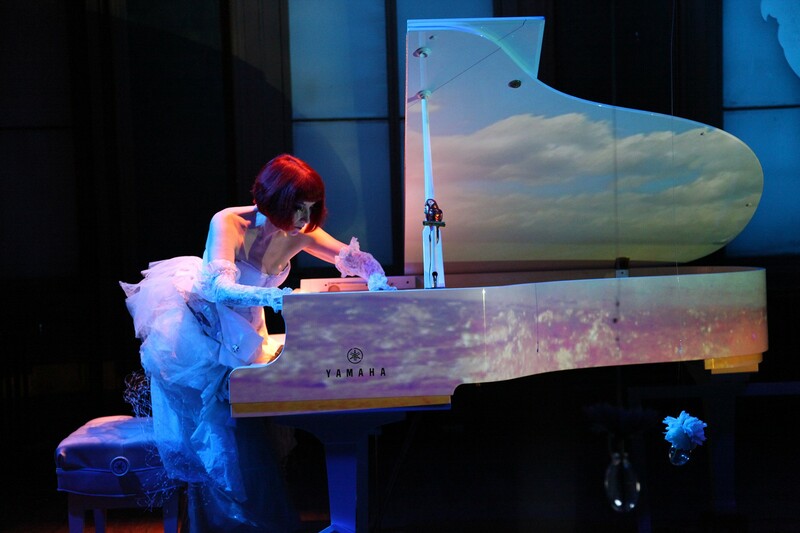 was premiere April 25th 2013 at The Flea Theatre, NYC, as a part of Kathleen Supové’s “Digital Debussy”. 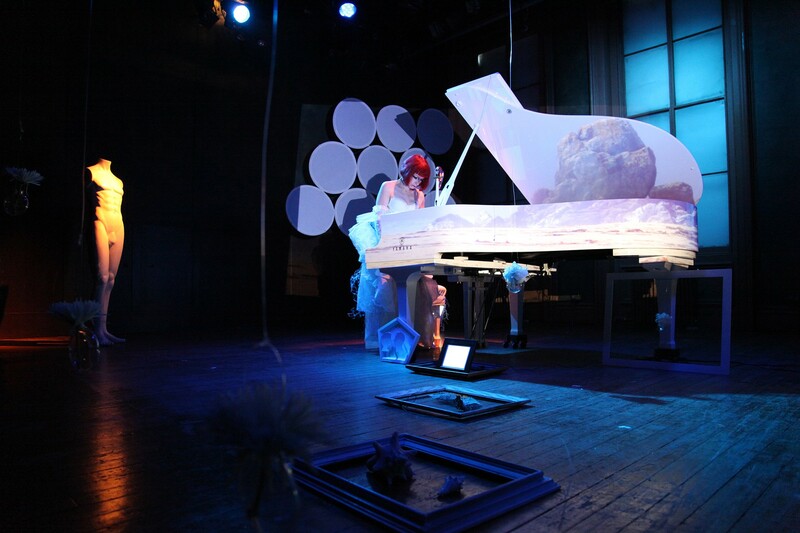 “Diva” layers live musical gestures into the “sonic atmosphere”, blending bowed and plucked piano, electronics and vocal winds into an other-worldly environment. 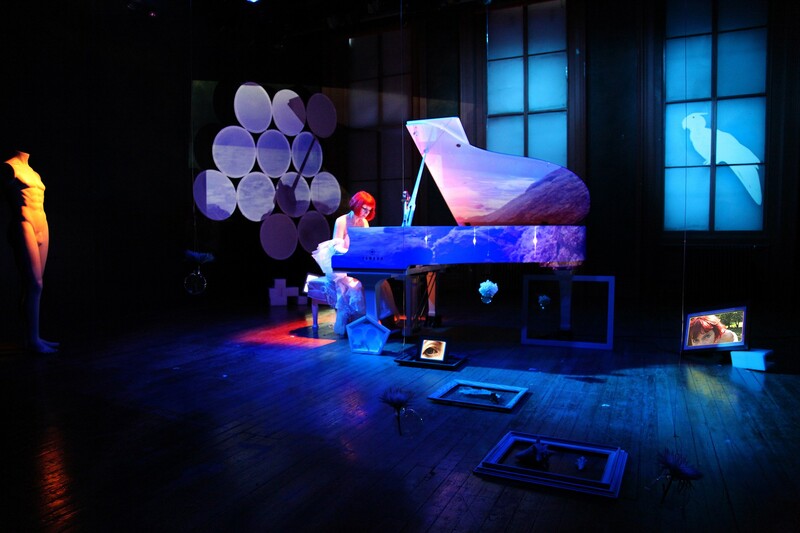 Set pieces and video juxtapose time and space, past and present – creating a dream sequence coexisting with life.